Best Courses and Scope After 12th, Read this article, Only if you want to do something good in your life. most of us are going to get over of their intermediate and we are pretty sure that they are in a delusion of what’s next? What should be the right career to pursue, which could let me to the heights of success. These are some abstract thoughts that occupy our minds continuously. This article is full of best courses after 12th for science, best courses after 12th for arts, best courses after 12th for commerce. In this state of confusion, we try to find out a solution asking every other person what are the better career prospects. We start wandering from here to there in search of a better answer, we wander from one site to another and gets very different different answers and completely gets confused. But before you ask anyone for the suggestion, ask yourself some basic but most important questions by being fair enough to yourself, because after all it is about your own career. What I am interested in the most? or what do you want to become? What I am actually good at? Does my career choice will suit my personality? Do I have enough financial backup to pursue that course? What kind of lifestyle you want? How much time I have? Will my parents allow me to do so? 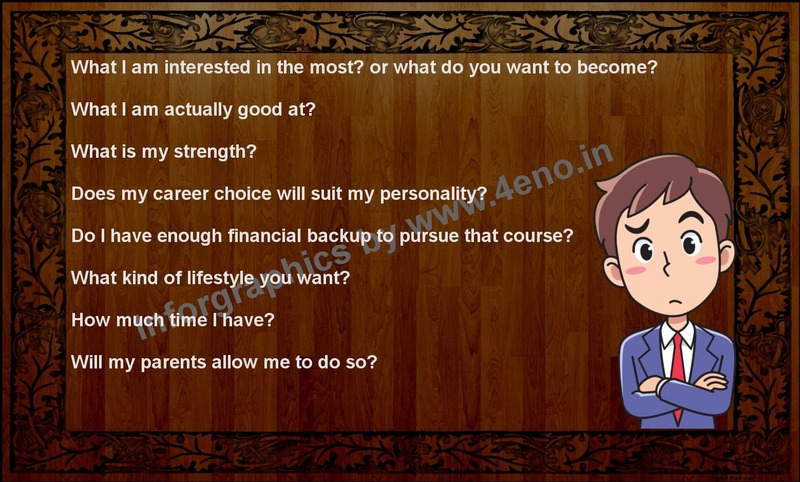 These are some reflective questions that will help you in your career selection, and if you are fair enough to yourself, it will help you climb ladders for success. Sometimes what happen, we are interested in something different, but we are not at all good at that part. Suppose, many of us wants to become scientist from the very beginning they started thinking about career, some wants to be astronaut, and some at other different fields, like pilot, merchant, soldier, designer, etc., but what if we are not good at those things. Our interest could be anything, we saw people climbing ladders of success in that particular field, and we get interested in that particular field. So, interest could be anything. But what actually matters, what is that particular field that could prove itself to be the stepping stone for your career. And one more thing, sometimes, the field in which our interest lies, we are actually good at that, but with some of us, the problem is that our financial conditions do not support us to pursue our dreams. So we have to understand things in that way also and manage things. Now we are in that era, where we have plenty of options, but what we have to do is to keep our eyes open, and find the most suitable career options for ourselves. Why i am saying options, because just don’t set one path for yourself. Have 3 to 4 career choices for yourself. Be flexible to incline yourself to that path, because sometimes our conditions do not let us to follow one particular path. So if we have options we can incline ourself to the next path. These are some best professional courses that all the three stream students can opt for. Post high school, all of us arrive at a cross road when we have to choose the most suitable path for us. It is a big decision for everyone of us, as it is going to decide our future professionally. 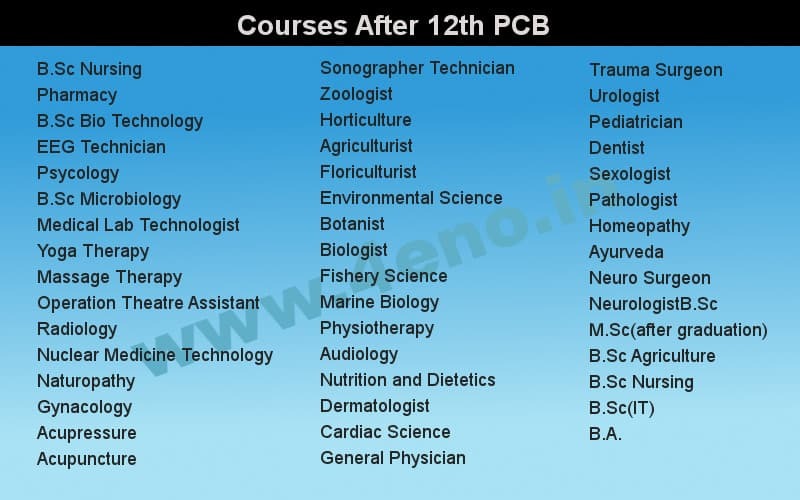 While most of us go for PCM i.e., Physics, Chemistry, Mathematics, there are many who opt for PCB i.e., Physics, Chemistry, Biology after they pass their high school. 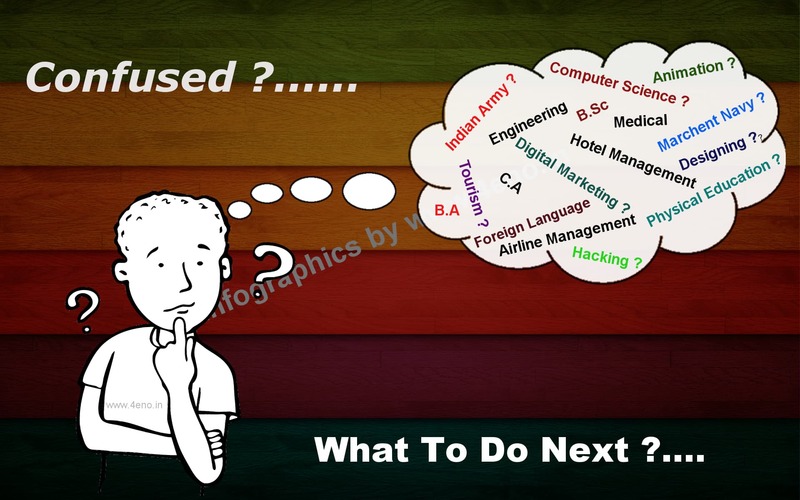 A lot of options for you all, now its your turn to choose the most right career for you all. Students opted for Science with PCM stream, these students have an advantage over other streams, they can easily opt for any of the streams. Plenty of options are available. All you have to do is just make yourself clear, where you can actually stand your level best. Commerce in itself is a vast field. There are plenty of career options once you complete your 12th with commerce stream. One can own his/her own business. You can also opt for further higher studies. Commerce has a lot to provide us with. Whether it is a small or a large firm, staff with commerce background is always needed for accounts and finance purpose. 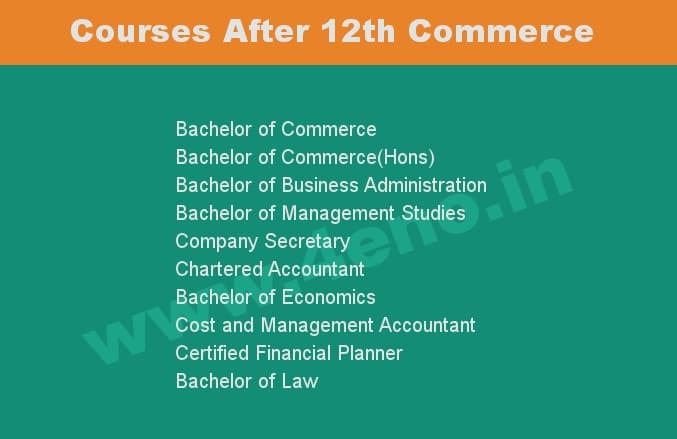 Lets discuss some of the courses that a commerce student can opt for, after completing their 12th. The education you will gain today will definitely help you throughout your life. All you have to do is focus on things that you can do and that will provide you with better results, will help you climb the ladders of success. Choosing a right career will help you in getting success. Now there are plenty of options available, choose the best ones for you. Arts or we can also refer it to as Humanities, it is a very vast and diverse career stream. It mainly deals with subjects like literature, Sociology, Psychology, Political Science and a lot more. Those who belong to arts stream can fit themselves to any career path, although they can not opt for streams like engineering or medical, but there is a lot more waiting for them. Students can choose from a variety range of career options such as teaching, designing, law, social work, politics, business, television, journalism etc. This particular stream has a lot more to offer to its students. They can pursue their higher studies in literature and even become novelist or poet, and learn the art of expressing their thoughts and pen down them. All they have to do is, broaden up their minds and start feeling things. Are you confused after completing your 12th? Doesn’t matter you are from arts stream, science stream, and commerce stream. 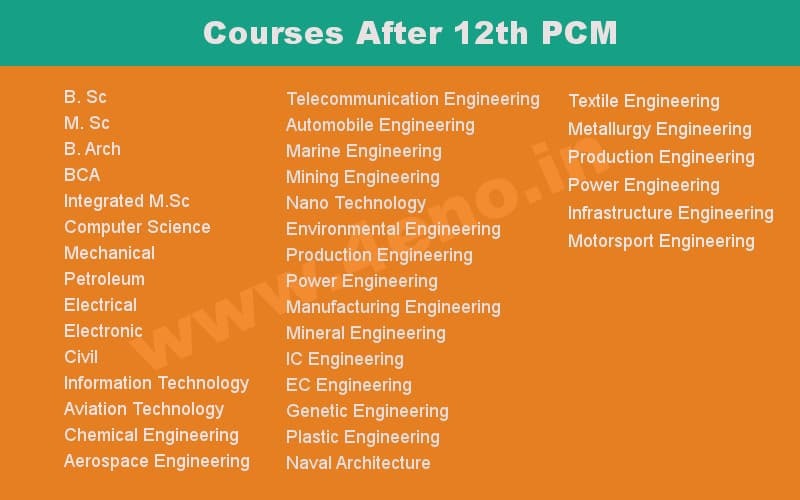 Plenty of Options Out ThereOnce you are in 11th standard, you have to choose a particular field, it could be either Science, Commerce or Humanities, which means you have chosen a career path for yourself and of course you are going to pursue your higher studies in that field only. A student opted for Science (PCB) stream mostly go for further studies in medical, pharmacy, science, and researcher in wildlife etc. A student opted for Science (PCM) stream go for further studies in Engineering and Technology, architecture, simple graduation like B.Sc, etc. A student opted for Humanities mostly pursue their higher studies in Arts, literature, media, fashion, tourism, etc. But, don’t stressed out, if you want to change your field for higher studies, there are some fields that accepts students from all the three streams. Some Professional Career that all the three can apply for, and most important things of these courses are, these are on demand you can get jobs easily with these skills. Do you have interest in creating something interesting, funny and magical? If you have seen movies like Avtar, and cartoons then every wonder how they are created and think about creating them by yourself. And most interesting thing is when you will come to know that doing this kind of magical things will give you money. Each person having DSLR nowadays is saying, s/he is photographer. And upload a pic with the caption “Anoop Photography” or with their name. But no this is not an actual Photography. You have to do professional courses like Farhan did in three idiots. So, if you are interested in photography you can choose it as a professional career. Web designing or web development these are most popular courses nowadays and students who have qualified their intermediate with computers are now looking their career in this field. This is actually vast field and you can make your career with web designing and web development. Future is going to become very technical so I would prefer you to choose any technical courses or this courses. Digital marketing is now taking places of old advertisement strategies. This courses is not too difficult to do and you will get job easily in this field. Instead of doing job you can work freelancer and earn money from home. SEO (Search engine optimization), SMO (social media optimization), SMM (social media marketing) these all are the part of Digital marketing. This is the future of marketing so if you interested in doing something online you can choose DM/SEO/SMO/SMM as professional. Again with technical courses with huge scope, we are talking about hacking. Very rare people do hacking professionally and when they become pro in hacking they get the package of 15lakh to 1 cr. Some students think that hacking is illegal, Yes it is illegal when you are doing something against government policies. So when you will become a hacker you can apply for MNCs, and also for government jobs. Hotel Management, one of the most common and popular career field. Hotel management can be the good option for every people. If you are week at maths, chemistry, biology or you don’t want to do any technical courses so you can choose Hotel management. Physical education or yoga, Have you ever tough about it? If no, then it could be hit your mind, you should know about scope in physical education and yoga. You can make a great career as education teacher. Yoga is being famous across the world and People who though it has no more scope. I would like to tell them just open your mind and tell think widely. Yoga or physical education will give you the best career ahead. One best thing which is interesting is learning foreign languages. But interesting is that you can choose it as professional. Because people can choose foreign languages as career option. Foreign languages like Chinese, Russian, French, english etc can pay you more then you think. So if you are interested in foreign languages and you are thinking about learning it as professionally then you can do it. Airline management is actually vast field. So you can choose an specific field in Airline management. Do you ever though about flying when you don’t need to pay even you will get money for it? So be professional and get money for flying.Choose airline for your career and get growth by time. Do you love tour and traveling? Think what happen when you will get money for touring and having fun at new places? Tourism is one of the best part of life. you can choose tourism as professional and become a guide too. Do you have any craze about fashion and you ever though about making some designable things like cloth, or decorate rooms, making jewelry design? Actually there is huge field in designing. And some professional designer earns in 7 digits so you can make your career in designing too. Great article! Science and Commerce Stream is best after 12th. you can choose any of the following. if you want to do your career in banking sector then go for commerce stream. if you are good in science. In my suggestion you can choose science stream because their are many career opinion after doing science. If you are looking for top University in Uttarakhand. Quantum University has ranked among the top leading universities of Uttarakhand. Quantum university is the first college in Uttarakhand which offer interdisciplinary education. 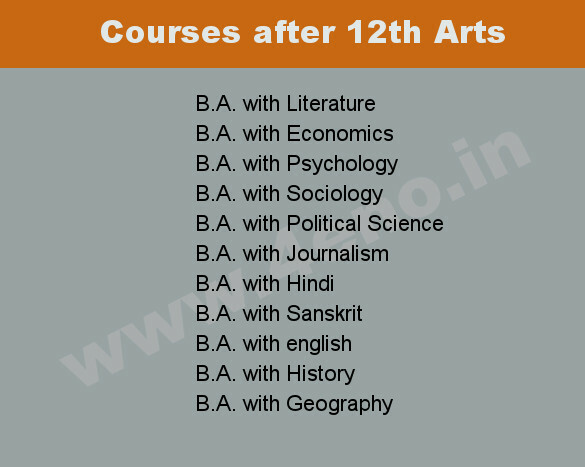 Students can select major and minor courses. Students can follow their passion program without giving up their dreams. They can study technology with music, agriculture with cyber security or computer science with economics and many other wonderful courses.